Click the following link for a detailed 3-D Tour. If you've read many of my posts before you know that I like living and working in the Village of Providence - Providence is very walk-able to the community pool, clubhouse, fitness center, walking trails and local businesses. Well known for its upscale homes and diverse architecture, the Village of Providence has strong community involvement and active Home Owners Association making this a well maintained and dynamic neighborhood. There's a mix of many fine restaurants offering a variety of cuisines from; Thai food at Phuket's Thai Restaurant to one of my favorites; Grille 29 or for a little Southern flavor try Moe's BBQ that also has live entertainment and even a Trivia Night. When you're in the mood for pizza then directly below my office at floor level is the popular Mellow Mushroom! Several businesses call Providence home; Doctors & Dentists, Dry Cleaners, Beauty Salons, a Real Estate office or two, also, one of the more outstanding Closing Attorneys I like to work with is located here in the Village of Providence, Craig Paulus Attorneys at Law, have found the Village of Providence a great place to work and play because of its convenient location and ease of commuting to most all of Huntsville and Madison Alabama. There's always something going on in the Village of Providence, whether it's a local car show or a Make-A-Wish Fundraiser, this is a very active community. Click this link: Past Providence Blog Posts to read other Village of Providence posts. The Village of Providence is best known for the variety of upscale historic architecture; bungalows, ranch style homes, mini-mansions and southern traditional style architecture as well as loft condominiums give this newer neighborhood, the Village of Providence a character seldom seen in other communities. Homes are built within the last 13 years or so with Phase 8 currently being built. Homes are predominantly full brick or Hardi board used by most higher end builders. 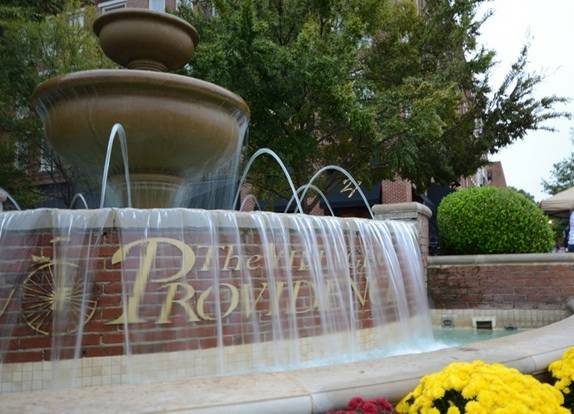 The Village of Providence is the perfect location for convenience to University Drive shopping and the Bridge Street Town Centre. Cummings Research Park and the Redstone Arsenal are only minutes away. At the writing of this post (8/9/2017) there are 22 single family homes, town homes, live/work units, condo lofts available. Some of the units are under construction and will be ready soon. Whatever your needs, life style or architectural preference the chance is good that you'll find it here in Providence. From a 1,273 square foot condo loft to a , 3 bedroom, 2 bath bungalow to a nicely sized 4,630 square foot Traditional statement offering 5 bedrooms and 6 baths priced at $630,000 - it's all here in the Village of Providence. You might also be interested in reading this recent Kiplinger report that ranked Huntsville Alabama #3 as one of the best cities for professionals.